The Journey of a Running Green Girl: Run, 1/2 Pint, Run! 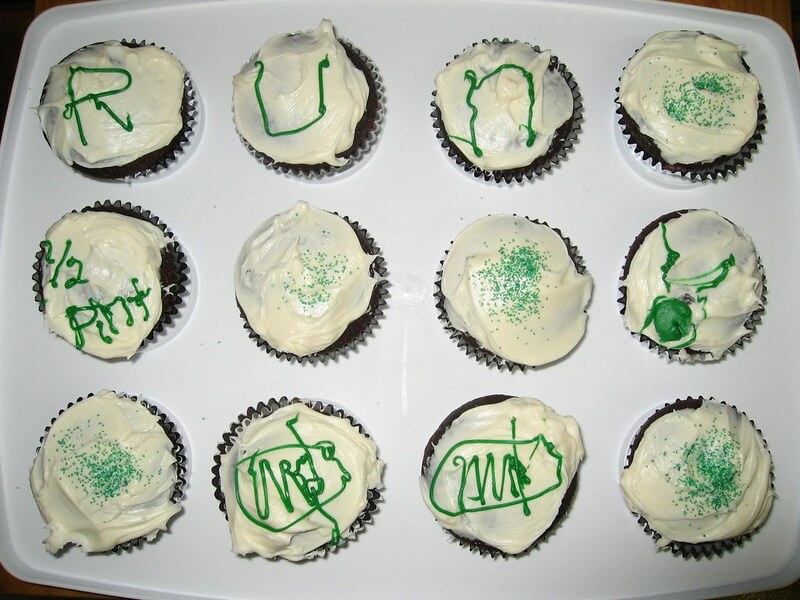 I made myself 'half marathon' cupcakes today. I love to make cupcakes. I just wish I was better at decorating. I'm not even good at frosting them evenly. Regardless, I'm a true believer that it is, after all, the thought that truly counts. 03:28:53 which averages to a 15:57 mile. I used a 5:1 run/walk but 'almost all walk at the end' ratio. It was a really hot day and I have a hard time dealing with heat. The Long Beach Half Marathon has great sentimental value to me because I watched the marathoners and half marathoners at the starting line last year. The Long Beach 5k last year was my very first race. 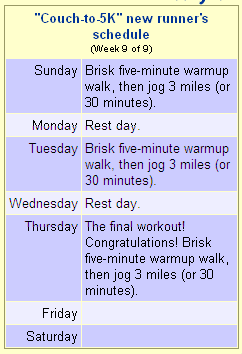 I had completed Week 9 Day 3 of the Cool Running Couch-To-5k the Tuesday before the race. I remember being terrified I would be so slow that the finish line would already be gone by the time I got there. The 5k started at 08:30 and the marathon and half marathon started at 07:30. I arrived early to watch them start. As I watched them stretch, I tried to imagine what it would be like to be able to run that far. You can imagine my excitement that this year I'll be one of those half marathoners. And one day, I'll be one of those full marathoners. I'm not quite ready for another marathon just yet. 26.2 miles is a long way - especially for a very slow Green Girl.